Announcing the latest release of SciBite's semantic engine, TERMite 6.1. Unlocking even more data through this feature, this is incredibly helpful for those of you dealing with data that is not subject to such high levels of proofing as Medline, for example, patents or internal documents. Fuzzy matching helps pull out and align those mis-spelled words to known dictionary terms. If you’d like to know more about this feature, read our fuzzy-matching blog post. We’ve enhanced TERMite further so not only does it pull data out of your database to annotate and structure it, it will then re-insert it into your database in the format you need. This covers aspects such as image to text and voice to text, as well as language translation. So, for example, you could be listening to a keynote speaker at a conference and would like a deeper understanding of their session. 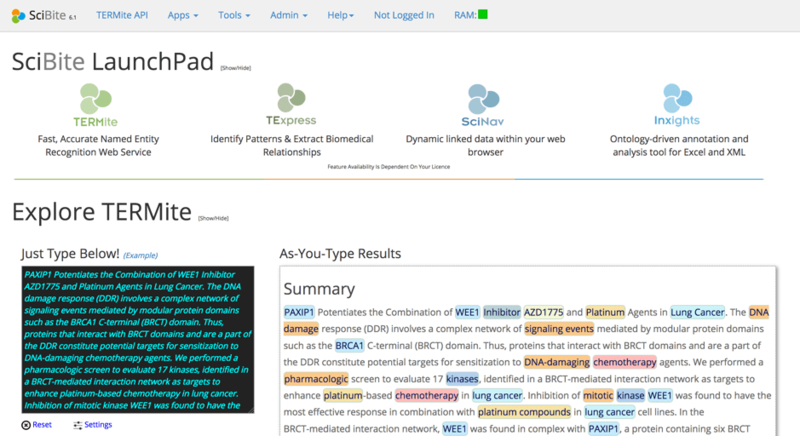 You can now convert their speech into text and then ‘TERMite’ the text, to highlight the main scientific concepts. Converting image to text enables you to finally analyse those pdfs or images of documents you have stored away, and then run those through TERMite too. TERMite now offers a plug-in to Google translate, so text in other languages can be translated into English and then analysed, enabling you to gain access to even more structured data. We’ve developed a TERMite module that you can use within Python scripts, making it even more accessible to data scientists and allowing you to embed your own code within the TERMite engine. Academic institutes can end up being named or cited in a number of ways, all different to their official name. So if you wanted to calculate publication statistics for academic institutions or analyse grants and funding, you would either have to manually curate the data, or spend a significant amount on an external company to curate it for you. This new module allows you automatically normalise the same institution to a single unique identifier, saving you time, money and your sanity. An example of which is the Country VOCab. Couple this with our institutions module mentioned earlier and you have a very powerful tool for tracking who’s publishing what and where in the world. Others such as the Bioassay Ontology provide a great way to search and organise pre-clinical data. There are lots of other features too, so if you’d like to know more about them or any of those listed on this blog, get in touch with the team, and sign up to our newsletter, to stay up to date with developments. 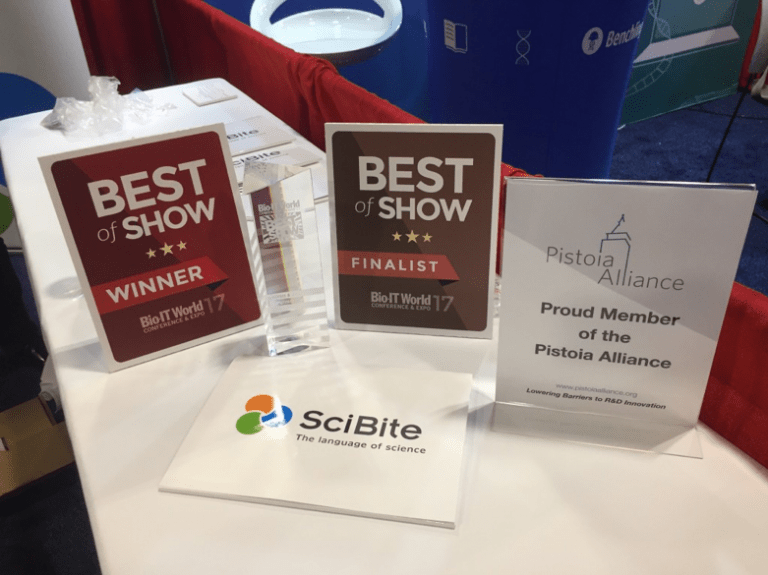 SciBite is delighted to announce that we've been awarded Best of Show at Bio IT 2017!